On Nov. 6, voters will decide who will be the next chief executive of the state of Iowa. 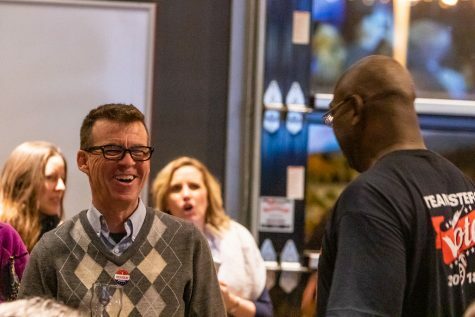 In several stops in Johnson County, Democrat Fred Hubbell rallies voters. Democratic candidate for governor Fred Hubbell stops by a canvassing event in Iowa City on Oct. 27. Walking with him is Iowa representative Mary Mascher, of Iowa City. 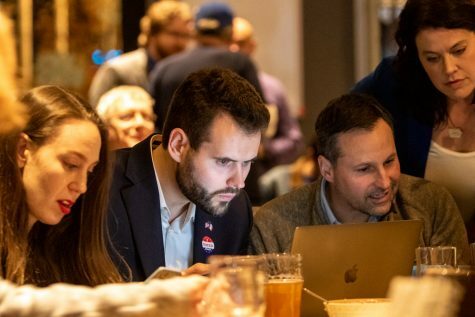 Democratic gubernatorial candidate Fred Hubbell and Johnson County Democrats say they are “optimistic” heading into the final stretch before Election Day. With just 10 days left to go before Nov. 6, retired Democratic businessman Hubbell and Republican Gov. Kim Reynolds have scurried across the state in campaign buses in last-minute stops to reach voters and volunteers. 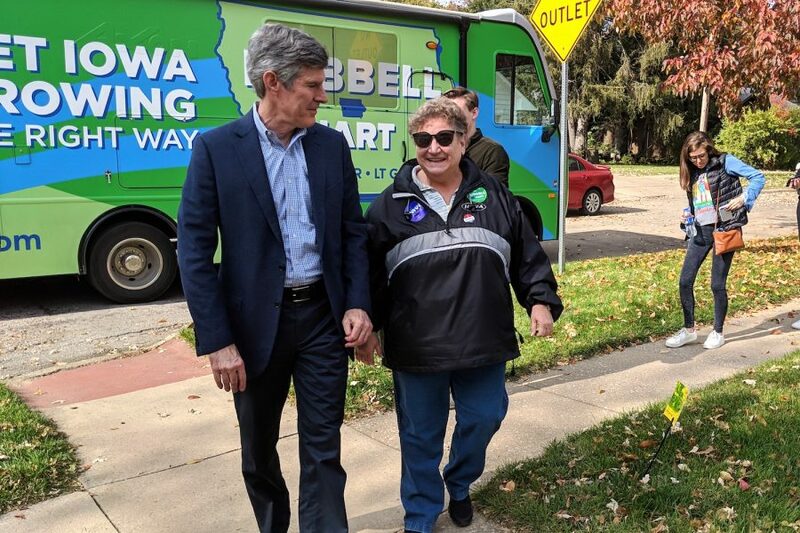 In a few visits to Johnson County on Oct. 27, Hubbell continued his issue-based speeches that has been central to his campaign for governor. 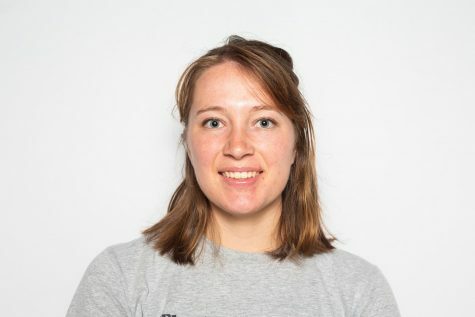 On the lawn of a local Democratic organizer’s house, he pledged to reverse privatized Medicaid, strengthen collective-bargaining rights, raise the minimum wage, increase funding to educational institutions such as the University of Iowa, and continue IPERS. He began the stop with a moment of silence for Kurt Friese, a Johnson County supervisor who died Oct. 27. Hubbell headed to Scott County later and will make stops in another four counties on Oct. 28. 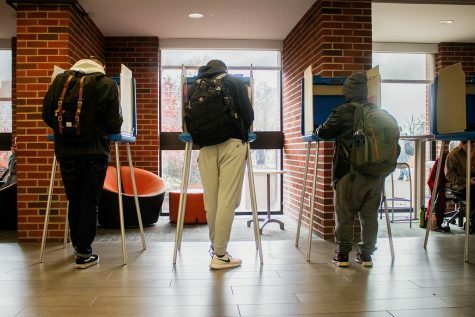 Before Hubbell arrived at the event Oct. 27, University of Iowa student Lee Sailor, 26, said he was “pleasantly surprised” by Hubbell; he had voted for John Norris in the Democratic primary in June. 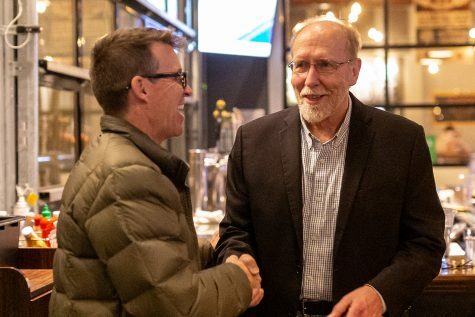 He said he stood firmly with Hubbell because of his aggressive stance to return Medicaid decision-making to the state government. Medicaid is Iowa’s insurance program that primarily serves people with disabilities and low-income individuals. In 2017, the state began relegating patient decisions to for-profit insurance companies. Sailor is one of approximately 680,000 Iowans insured by the state’s insurance system. 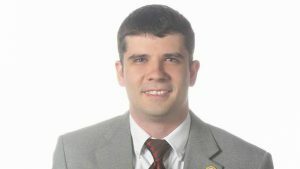 He said he especially became concerned a year ago when one of the three for-profit insurance companies running Medicaid announced it would pull out of contracts with the state. Although he wasn’t insured under the company, Amerihealth, and remained healthy, he said he was concerned about his company possibly pulling the rug out from under his feet. 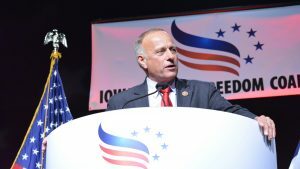 “My top priority is getting the Medicaid system in Iowa straightened out,” he said. Another Johnson County Democrat said he supported Hubbell because he supported collective-bargaining rights. He also emphasized he thought a vote for Reynolds was a vote for someone who supported Trump. 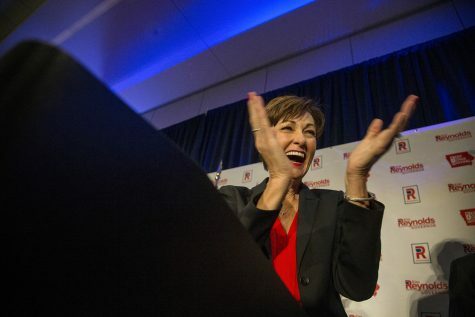 Hubbell’s opponent, Reynolds, took over the governorship in 2017 when her predecessor, Terry Branstad, was appointed to be the U.S. ambassador to China. She visited Hamburg Inn No. 2 on Oct. 25 as part of her bus tour around the state. 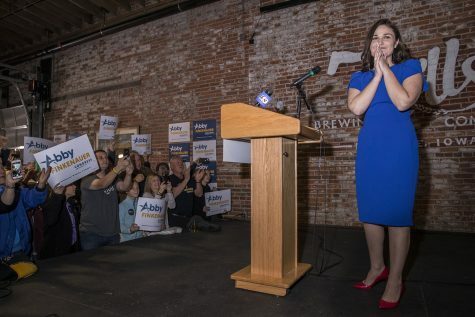 There, she told reporters she was “feeling good” about her standing in the race for the governor’s office, citing a $127 million state budget surplus and lowered taxes as a reflection on her job performance. Often, she’s pointed to Hubbell as a candidate who would raise taxes. However, Hubbell said at the Oct. 27 event he had no intention to raise taxes. 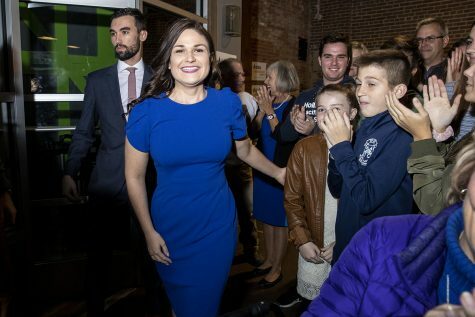 Hubbell expressed optimism, too, in flipping the Legislature blue. Currently, both chambers in Des Moines have Republican majorities.